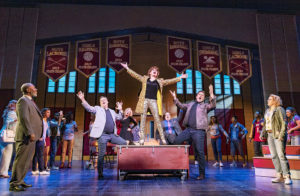 November 19, 2018: “We’re liberal Democrats from Broadway,” defiantly proclaims the amazing Brooks Ashmanskas as Barry Glickman, an egotistical musical-comedy star, to the astonished and unsuspecting PTA of a tiny Indiana town in the unabashedly left-leaning new musical The Prom. 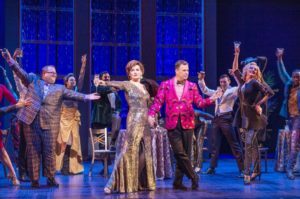 The line draws applause from the theater-loving audience at the Longacre Theater and sets the tone for this joyous celebration of all things fabulous and splashy. 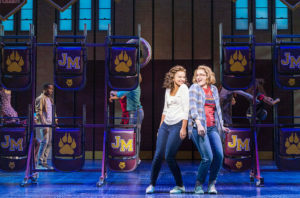 The show reeks of show-biz savvy and unapologetically endorses queer culture (“I’m as gay as a bucket of wigs,” Barry states) as well as a love of the musical genre. But it’s also a tender teen love story and an earnest plea not just for tolerance but acceptance. Every element is polished with professionalism and skillfully combines satire and verisimilitude for a slightly twisted perspective on our divided America. If that sounds too serious, don’t be scared off. 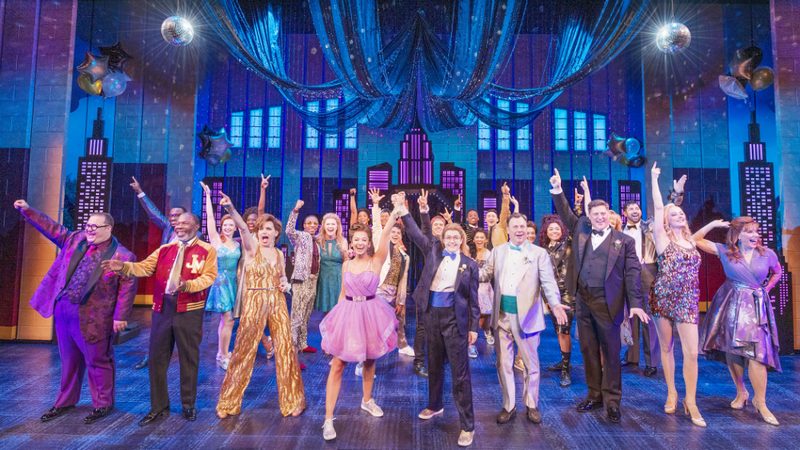 The Prom is one of the funniest shows to hit Broadway in years. 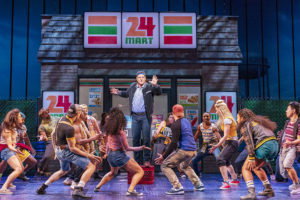 Director-choreographer Casey Nicholaw creates rapid-fire staging and dances reflecting parodies of Broadway icons like Bob Fosse as well as the midwestern teens’ version of contemporary hip-hop. Scott Pask’s sets are colorful and comic as are the jokey costumes by Ann Roth and Matthew Pachtman. Oh, and one more point—this is an original concept, not based on a movie, play or the career of a rock, pop, or R&B legend. How refreshing.